Flowers speak a language all of their own. Some say “fresh start” while others are for luck; and there are some that speak the language of love, be it romantic love or the love shared between a parent and child. 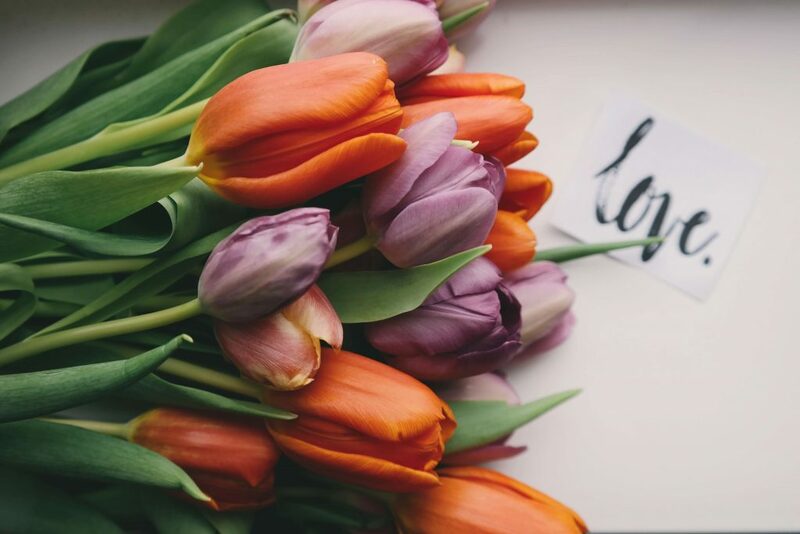 Here are five flowers that signify love – pick your beloved’s favorite when choosing the perfect Valentine’s Day flowers. Tulips as a whole that represent the “perfect love,” and red tulips represent the truest love. There are many myths and traditions associated with tulips and love.In Persian culture, young men offer red tulips when they are proposing marriage. Greek mythology tells the story of a girl named Tulip, who has caught the eye of the God of Autumn. She grows tired of his advances and asks the God of Virginity to transform her into a flower. She is changed into a Tulip, and thus in Greek mythology the flower becomes associated with seduction. Turkish lore tells of a couple named Farhad and Shirin; Shirin dies while digging a well, so Farhad throws himself off a cliff because he cannot bear to be without her. Red tulips start to grow around his spilt blood, making red tulips a symbol for passion. No surprise here. Roses – especially red ones – are the ultimate symbol of romantic love. With their delicate petals and seductive scent, few can resist its lure. 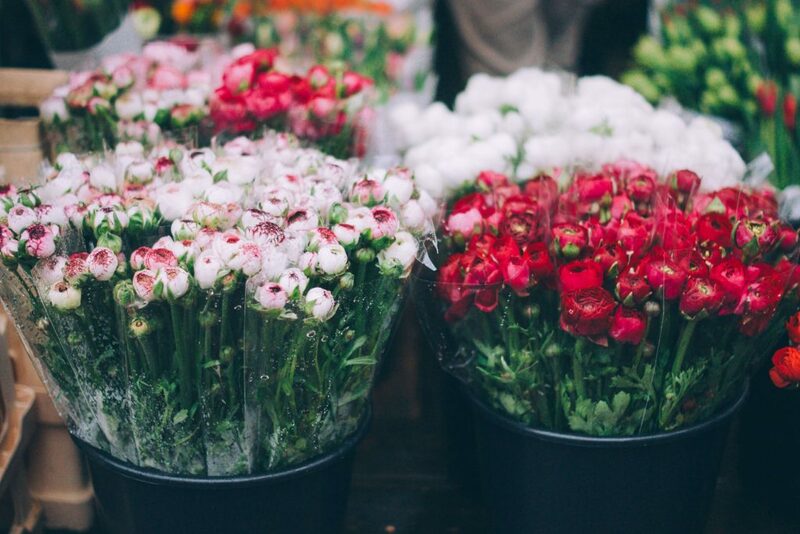 Sturdy like a lifelong relationship, a bouquet of carnations will instantly liven up a room. Be sure to choose the appropriate color to describe your one-of-a-kind romance. For a relationship celebrating the purest of love, white carnations are the way to go. These beauties are also a symbol of good luck. For fiery affection, dark red carnations are the symbol you are looking for. Why not combine white and red carnations for a message that screams passion and purity. Pink CarnationsThere are few things as strong and pure as a mother’s undying love – which is exactly what pink carnations represent! An age-old belief says claims that pink carnations first appeared on earth from the Virgin Mary’s tears. PeoniesTrue love is long-lasting, like the peony. While this majestic flower may not be the first flower that comes to mind, peonies represent honor and a happy relationship. Peonies are also the traditional gift for the twelfth wedding anniversary. ChrysanthemumChrysanthemum in general symbolize joy, a feeling you can’t help but feel when surrounded by your loved ones! 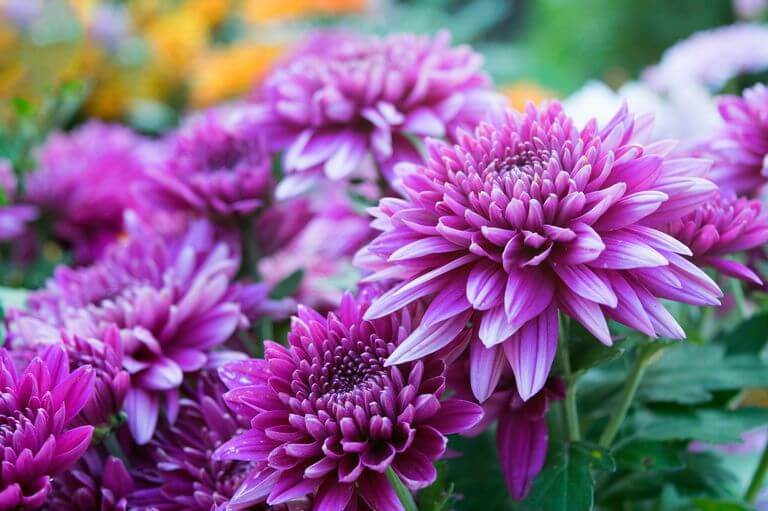 For a symbol of love, opt for a red or white version of this bloom; red chrysanthemum symbolize love in general, while white chrysanthemum are symbols of loyalty and devotion.